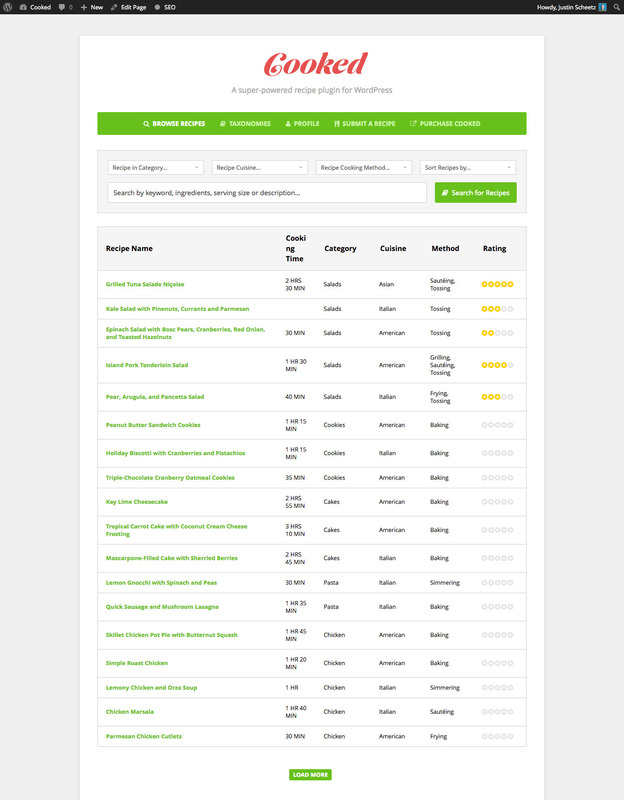 🎖 Plugin ranks 2,074 amongst 50,000+ plugins. 🎂 This plugin is going to celebrate it's 5th anniversary after 5 months. 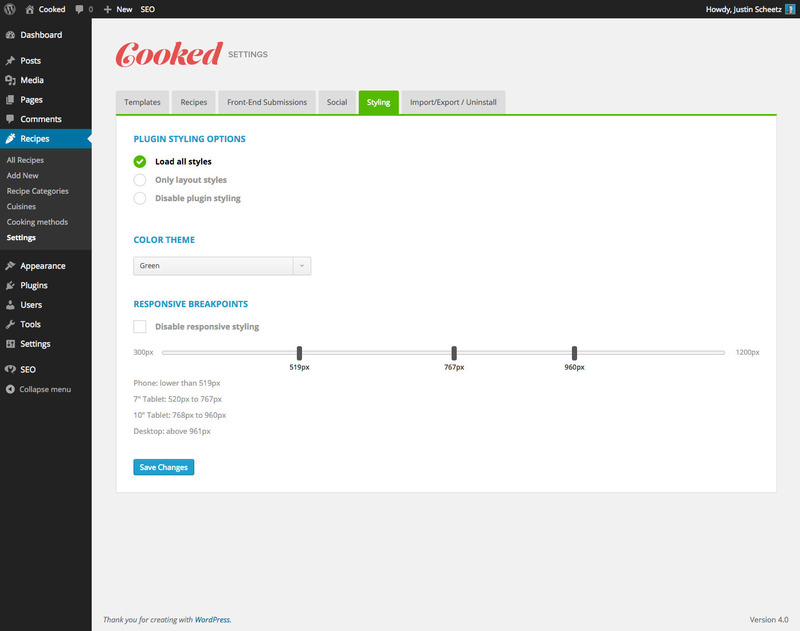 Cooked is a super-powered recipe plugin for WordPress. 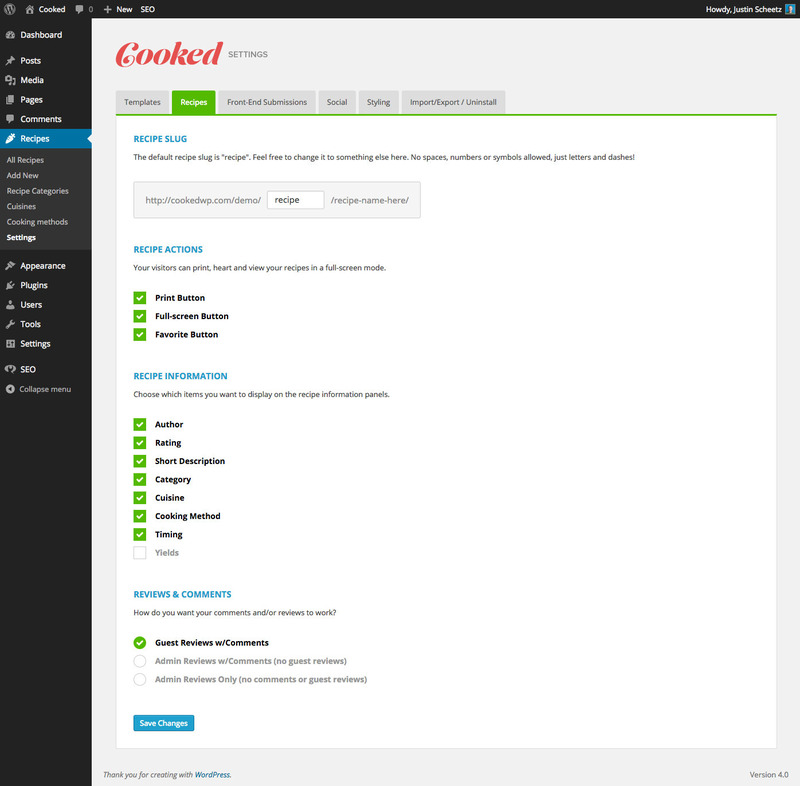 Create your own recipe website, complete with ratings, reviews, and awesome responsive cooking guides for your visitors. 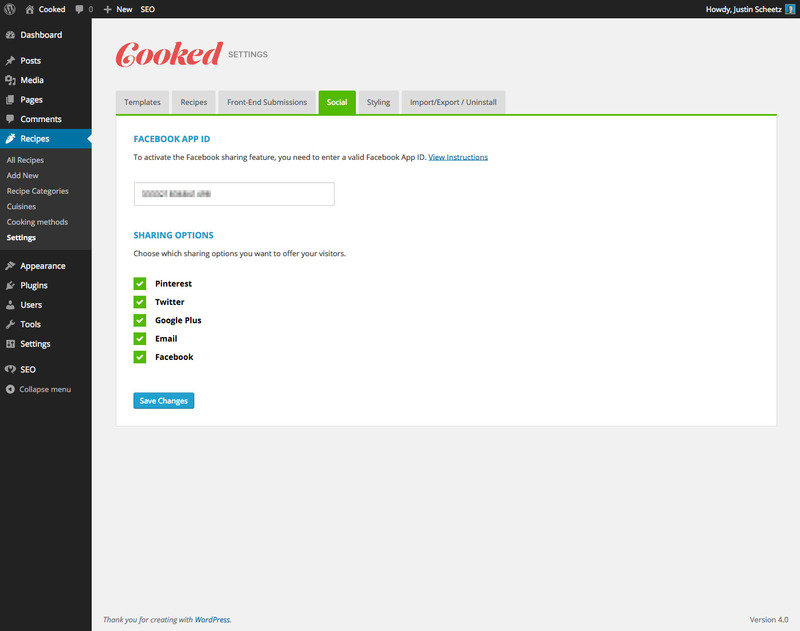 Do you want to include Cooked as a packaged plugin with your theme? Just purchase the Extended License and shoot me a message from my profile page to let me know how you’re using it. Thanks! We love this plugin! Justin is very responsive and worked hard to reproduce an issue and fix it. Plugin good? 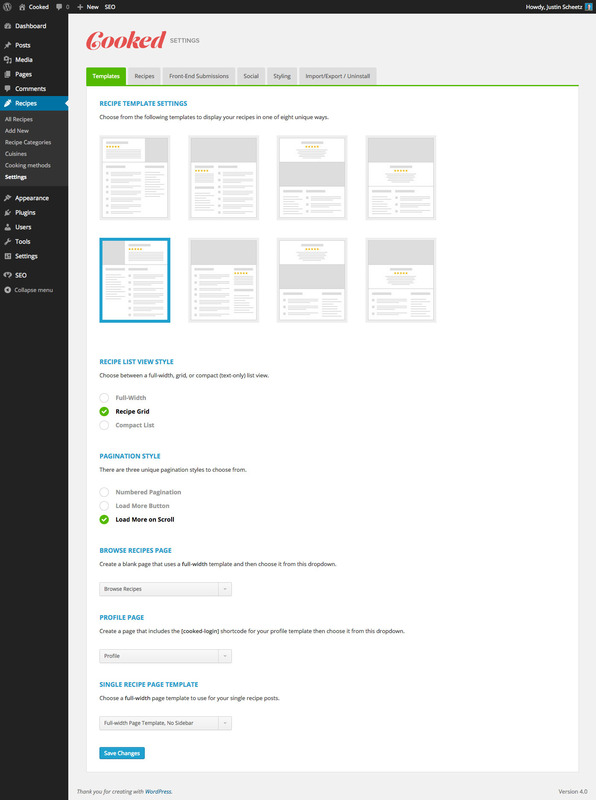 but support not good.Bad support, errors are eliminated in the plugin for half a year. Support may be responsible for 3-5 days and generalities, no specifics. 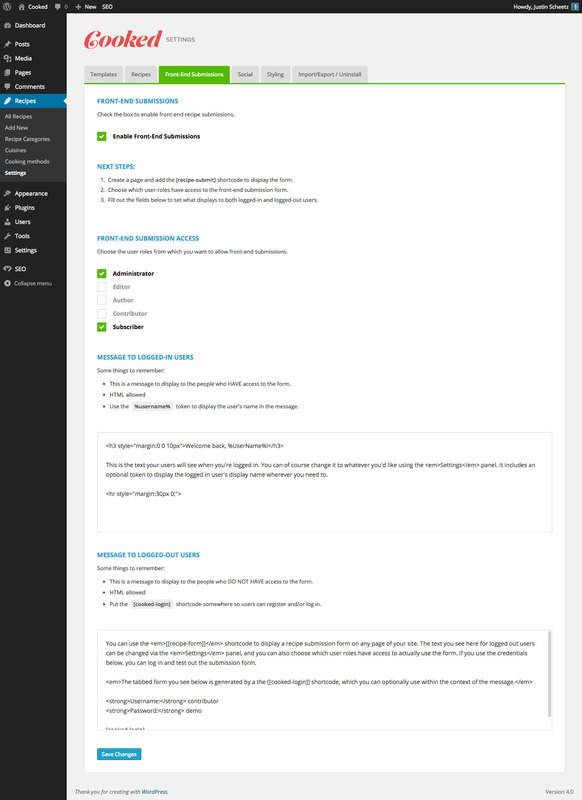 Recipe plugins are an epic pain, they either look horrible or are abandoned by the developer in a very short time. 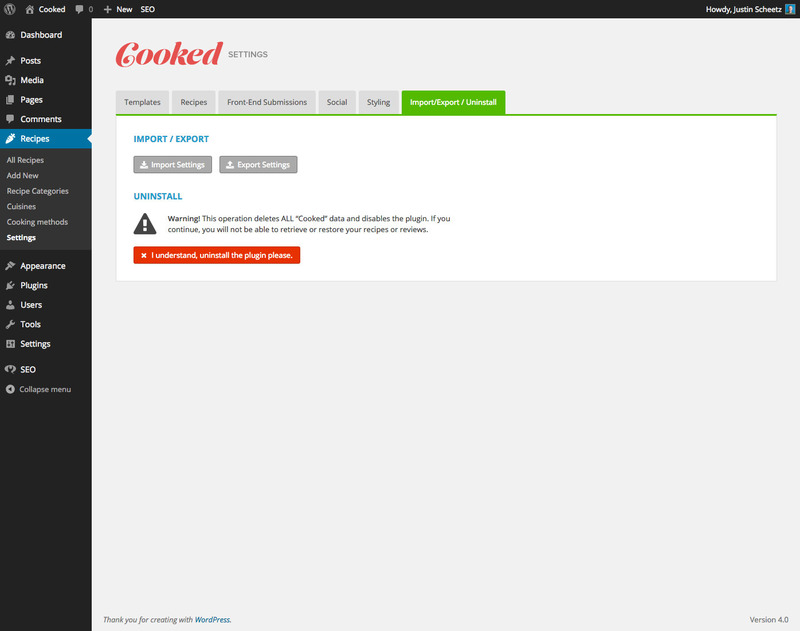 This is the first recipe plugin I have ever installed that actually looks great right out of the box. I didn't have to spend hours tweaking it. The ability to categorize recipes is awesome, and I think my readers are going to love the ability to enable a full-screen view of the recipe. I wish I would have purchased this plugin a long time ago, it would have saved me so much frustration! this is the first recipe plugin I've used that simply works! everything is smooth and adding recipes is no issue. the features list is impressive too. The only thing I'd love to see - and would be happy to pay more for - is the ability for users to add recipes to a shopping list as they browse and to end up with a printable shopping list of all ingredients. This would make this plugin unbeatable then and definitely worth paying more for. Author responseThanks for the awesome review, much appreciated! Not gallery of recipes, impossible work fine socialmedia sharing buttons. The code is really strong to customize.